I worked as a flight attendant for 8 years. I injured my back on the job and went through 4 years of therapy. I gained quite a bit of weight during the therapy, because I was not able to do the workouts that I was always used to. I was in so much pain I knew I had to do something. I was never the type of person that was able to sit for very long. I began to rehabilitate myself through exercise. Now I am proud to say that I have accomplished a triathlon! 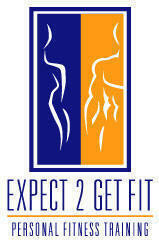 I want to take my love for exercise and health and apply that to my clients. Living in Colorado, one of the healthiest states, we have so much at our fingertips when it comes to living healthy. Exercise is fun if you make it that way. That’s why I’m here to give you the motivation to start a new and healthy lifestyle, the fun way. If you are looking to shed fat, gain muscle or maintain your weight, I can help by giving you the workouts and nutrition plans you need. You will even have more time to spend with your families because of the in-home workouts! I practice what I preach. I will love helping you feel wonderful about the body that you live in every day.